It was a little tricky to get the knack of keeping all the makers and filament and everything from coming lose. For the first test, it worked meh on white filament. Tons of color only tinted it slightly. Then using translucent PLA and four shades of green markers I printed the rambone slingshot model. It gave a super cool effect. It looked almost exactly like jade!!!! Will this replace buying different colored filaments? No way. 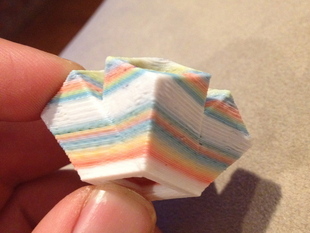 But it does add some additional interesting effects to your printer, so, well worth having!